- A location map link usually showing roads and directions to the ski trail system. - A map link of the ski trail. - A link to trail detail including trail reports for the given ski trail. - Some portions of the ski trail are lighted. - Snowmaking operations are available. - The trail system is groomed for classical skiing only. 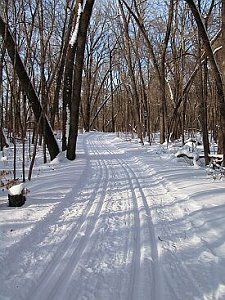 The upper Midwest is home to a vast number of ski trails. One could literally ski a different trail system each day of the season. Part of the joy each winter is searching out and exploring new trail systems. Once the snow starts falling, you'll find first-hand ski trail reports on conditions and grooming on our Trail Reports page. 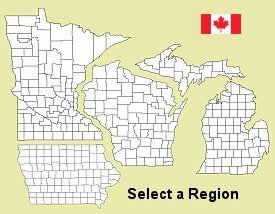 We maintain an extensive set of Ski Trails listings covering the entire upper Midwest. Help us continue to grow this list by submitting new trail systems.